It’s finally happened, folks. 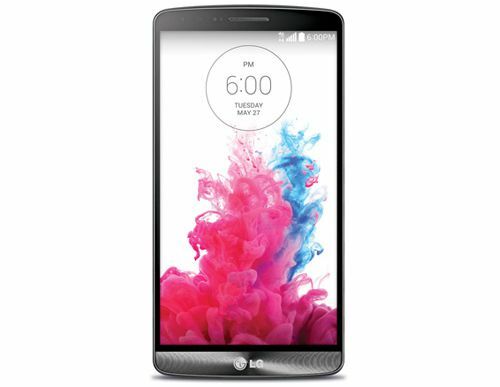 After starring in more leaks, rumors and teases than anyone could keep track of, the LG G3 today got its official introduction. One of the more notable hardware features of the G3 that’s worth shedding a bit more light on is its Laser Auto Focus. This sensor rests next to the G3’s 13-megapixel rear camera and measures the distance between the subject and phone using a laser beam. Doing so enables the G3 to quickly focus on the subject so that you don’t miss the shot. Smart Notice: Acts like a personal assistant, giving recommendations based on user behavior, phone usage patterns and location. For example, Smart Notice can remind you of a call that you declined earlier and ask if you’d like to return the call. Uses natural language to make recommendations, such as “You may want to take an umbrella today since it will rain this evening. Smart Security: Includes features like Knock Code unlock method, Content Lock to hide personal files and Kill Switch for remotely disabling and wiping a phone that’s been lost or stolen. While most details of the LG G3 have been well-leaked by now, there’s one piece of information that’s managed to elude us this whole time: LG’s G3 launch plans. The company revealed those today, though, saying that the G3 will be released in South Korea on May 28 and will roll out to more than 170 carriers total. In the U.S, the G3 will arrive on AT&T, Sprint, T-Mobile and Verizon in the U.S. this summer. AT&T says that it will launch the G3 “this year,” Sprint has pegged its G3 launch for July 2014 and T-Mobile says that its launch will happen “later this summer.” No pricing details have been announced, but T-Mobile has revealed that it’s running a contest in which it’s giving away one LG G3 Beta model every day until Sunday, June 29.
i want it. lets get the 32GB with 3gb ram model in black stat! Do we know what cellular bands this supports? Any chance it has the lower A Block 700MHz? Depends on when LG and T-mobile were talking about device specs and when LG starts production, if those things didn’t happen until after the FCC gave final approval for the spectrum transfer then there’s hope. wont know for sure until this passes through the FCC testing. Based on the FCC filing, no. Phones with that band won’t come until fall at the earliest. sounds like a sweet phone minus the 16gb storage probably less than 8gb actual storage. Wow all that hype and such an AWESOME phone ruined by the launch date, and the fact that tmobile probably won’t even carry the 32GB version. Too bad… I would have bought it if it was out next week. I’ll just wait for the Note 4. It’ll still be out well before the Note 4? You’re going to pass up on a great phone because the bigger carriers used their muscle to bully a phone developer? VZW and AT&T can easily get timed exclusives when it’s someone other than Samsung or Apple. If they choose to pass on the device because their terms weren’t met that’s a massive loss in potential sales for LG. It’s not something you can really fault them on, but hopefully it will change in the future. I can wait a couple more months for a much better phone. I thought this would be out net week. I was planning on buying it, and then selling it to get the Note 4 if it was that much better, but now I’d rather just wait. My Note 2 still does everything I need. The carriers bullying the developer bothers me. But if the 16 GB phone comes with 2 GB of RAM, I worry about the impact of that on a QHD phone. I would have to wait to see if I am worried about nothing. If there is a noticeable difference in performance, I would prefer the 32 GB phone. And I definitely WANT an LG phone. I just get frustrated with them doing something to muck things up. PS:Seems like it will have a plastic back. I also read that the 5.5″ size is the screen and the narrow bezels make it seem smaller and the shape of the back, Ark shaped, allows for some one handed use. Congratulations LG for once again being innovative. Beauty and Brawn together in a stunning form factor. Ugh, Quad HD. Losing performance and battery life and making 1080p video more blurry to get nothing in return. Why does marketing take precedence over function? I too was thinking about what effect the Quad HD will have. I will have to see how this plays out. It would be nice if the phone allowed a way to “step down” to 1080. The screens have a set resolution, just like tv’s. They can get a 480i, 720p, or 1080i/p content and upconvert it to use up the entire resolution of 2560×1440, but if the display itself would be stepped down to 1920×1080, there will be rolls of empty horizontal and vetical lines. They would stand out too, similar to how a dead pixel stands out. Similar to early HDTV’s which didn’t upconvert SD content. it just doesn’t look good. Either way, that only takes care of one of the issues, and there’s still no benefit to it. Same could be said if the phone was released as 720p over 1080p, or qHD instead of FHD. The good thing is that with the release of a QHD phone, the 1280×720 and 1920×1080 phones aren’t going away. In fact, they will become cheaper and you will have the option of buying the lower resolution displays if the visual experience isn’t as important to you. It’s a win scenario for everyone really. You’re not understanding me. My point is that it won’t improve the visual experience. The other jumps you mentioned improved it, but in this case you won’t notice a difference. Any difference you notice will be a placebo effect (unless you’re Superman or something), and even then only when you have them side-by-side and you’re looking for a difference. Screen quality is important to me; it’s just that this is a bigger number, rather than an improvement that’s possible for anyone to really see. Meanwhile, the visual experience for videos and movies will actually be worse due to the fact that there’s no 1440p content to use the screen. As for your suggestion of getting a lower-end phone, that would have worse hardware, which still means worse battery life and performance, which means that it doesn’t help anything. Don’t believe me? Look at your 1080p phone and tell me with a straight face that it’s pixelated. Again. To you, it may not be a visual improvement, that doesn’t mean it isn’t a visual improvement for others. You don’t have to be Superman to notice the increase sharpness on a 1440p display. Watching movies on a 1080p phone isn’t a great experience as it is because of how highly compressed all the 1080p digital content and Netflix is, it’s pretty bad and I don’t use phones or tablets to see movies. The only solution would be to rip a Blu-ray into a 1080p phone, but it takes up too much space and it’s more enjoyable on a large screen tv with proper speakers. So from that angle, a higher resolution screen won’t affect me. I can see how it may affect you if you see a lot of movies on your phone, but it probably won’t look too different from the 720p content you see on your 1080p phone. Youtube is streamed at 720p anyways and Netflix 1080p is horribly compressed. In fact, since these phones can record in 2160p, the videos can be down converted to 1440p and you can appreciate it more so than on a 1080p phone. Plus the UI. Yes, only Sony excelled in this area. Using top components for the Z1 compact. Would be great if other manufactures followed their lead, but that may be questionable. 720p phones still had some pixelation. 1080p phones don’t because they’re already beyond the point where the human eye can see pixels. I already answered the rest of what you said, but you’re too gullible to actually listen. I guess you’re just part of that market that falls for the hype, thinking that there’s no limit to resolution’s impact on sharpness.If you refuse to listen to my side of the argument, I guess we’re done here. I mean, the least you could do is read the third damn sentence of my comments. But what’s it worth if you’re watching 720p youtube videos on a 1080p phone or a highly compressed 1080p video which brings up a lot of issues? It’s not about falling for the hype, but just a genuine question of what would the 1080p display be worth if you’re only upconverting 720p videos or seeing low quality 1080p videos? Would you say that the upconversion of 720p content to a 1080p display solves the problem? I listened to your part of the argument, but showed you that if you mainly see youtube, Hulu, Netflix, or downloaded 1080p movies, you are barely taking advantage of the 1080p and you mainly see up converted videos or highly compressed FHD videos. Also pointed out that these phones are capable of recording in 2160p, which then will be down converted to 1440p and that video will look better on a QHD phone than on a FHD phone. You think that you won’t be able to notice the difference at all, probably you can’t. Just out of curiousity, from where do you watch movies from? Just to get an idea of what you visually find acceptable. Why don’t you two exchange phone numbers and hash this out between yourselves instead of lambasting the comments section with frivolous argument that serves nobody but you two? Thank you for your contribution to the subject and for not derailing a 5 post discussion. Do you think maybe they tested the phone with Quad HD to see how it does with the battery? No, I hear you. Quad HD: It’s useless, marketing hype, it’s fot the naive buyers ect . My point is I will see for myself. I’m not saying battery life or performance will be bad, but that they will be worse than they would have been with a 1080p screen, which is a fact. I don’t think the benefits of QHD (the screen looks sharper when you have it next to a 1080p screen phone and you press one up against each eyeball) make up for the compromises. It’s a useless feature. in the launch battery was also explained to improve along with the display and processor. Software tricks are used to improve battery life, which you would only know if you saw the launch instead of spewing what you think off the top of your head. You missed my point. Look at my reply to the comment below. I did watch it. Note 4 or go home. in t-mobile release they say it has 32gb of memory. Not up to. Lets hope they only get the 32gb version. Will it support 700 MHz? It’s unbelievable how no one can be made happy with any phone. Techies have to be the most nit picky, complainers of all-time. With the M8, all you hear is complaining about the thick bezels and crappy camera. The SG5 lags and no one likes TouchWiz. The Z2 is too big and unavailable. The Note 3/4 is too big. When will you ever be satisfied you noncontributing to society, wastes of space? What is there to complain about with this phone? There’s no almost no bezel, best screen in production, big battery, removable back, SD expansion, good build quality, solid camera, nifty and useful feathers….these are the things that you all always complain about and this phone has them all. No 805 processor that isn’t even in market yet. And specifically for T-Mobile, support for the new LTE band. Haha. Let me think, I’ll find something…. I agree they never happy me I just dont listen to them n dont care bout when they have to say because if I do I will get pissed off n ruin my day..I just get what I like and dont care about anyone’s opinion.. Maybe ill get this the g3..
QHD is useless and only serves to reduce battery life and performance. Everything else is great, but it’s still dumb to add just for marketing purposes. Why be a (male body part) just because someone differs with your opinion? What value would that bring to the conversation? I could make some compelling arguments to why QuadHD is bad, but why should I have a conversation with you? Your above post don’t scream intelligence. I never said my opinion is the only one that mattered or did I anoint myself to any position. Everyone is entitled to their opinion. Before I post mines, I try to make sure I can stand behind it with a logical thought process instead of an emotional one. Sometimes I drop the ball, But I still try to add content to the conversation and not just post things I know nothing about. The only time I would not follow this practice is I’m replying to a troll or an Internet Bully. With all that said, Lets just be civil and agree to disagree with concerns about the Quad HD resolution. you didn’t even watch the launch, did you? that’s what I thought. Hmmm… Maybe because no one is the same? People have different tastes. They have the right to speak their mind. After all, They’re spending their own money for it. It should hit whatever desire or need they have. Sure if they don’t like a device, they don’t have to buy it, but if they shut up and not voice their concerns about why they didn’t buy it, then the headset makers would ignore them and that would guarantee their point of view is overlooked. Yeah they did add allot of things to this phones that makes me consider it for my next phone, but it isn’t perfect. I can list off things about it I don’t like, (like the onscreen buttons, the nonstandard resolution, etc.) But so what? It’s the overall value of the device that should matter. If the good far outweighs the bad without any deal breakers, then the person would buy it. If people settled, then phones wouldn’t improve at the rate that they do. It is the nit picky people group that is responsible for the great tech journey we’ve come on in the past decade. I have KitKat and root. If you dig on xda you’ll find all the answers. rooted use best experienced on a nexus, anyway. does it have band 12? It hasn’t been confirmed or denied yet to my knowledge. I asked on T-Mo’s Twitter earlier and they said they haven’t announced anything yet. So hopefully it will. It’s really the only thing giving the M8 the edge over other phones on T-Mo at this point. That’s unfortunate. It’s really bizarre that HTC was the only manufacturer that had the foresight to include it in their 2014 flagship. Here’s hoping the rumors of the Moto X+1 coming to us are true, and Motorola includes it. Yup. You’re correct. I received false information when I purchased my M8. I was told it had the correct band to utilize the upcoming spectrum. Oh well, it means I won’t really be losing anything if I do decide to JUMP! to the G3. Thank you for sorting this out for me. Does it have a price? conditions. Galaxy S5 is awesome! If anybody from T-Mobile is reading this, please note that I, and many other people, really want the 32GB version of this phone. I really like this phone. I’ve been on the edge about getting the S5, (I work in a very dusty environment. So much that I have dust under the screen on my S3) But I’m not fully sold on it. I had removed LG from my list because of the Direction of the Nexus devices and the G2 and Flex. After seeing they brought back the Micro SD card slot and the removable battery, I no longer have to be stuck to Samsung! I still don’t like the onscreen buttons and Quad HD screen, but I still want to tryout this device. It doesn’t have to be perfect. I doubt any device will ever be perfect. It only has to be good enough for me buy it. Right now it looks to be my next device, but I MUST hold it first. I don’t have massive hands so the size is very important. but is it water resistant?